Here, at Gabriel's Flooring, we are passionate about two things, our customers and wood flooring. We only use the finest hardwood in all our floors, capturing the natural beauty of real wood and using it to turn your home into a place to be proud of. 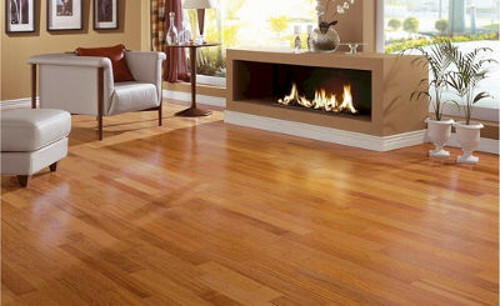 Hardwood flooring is much longer lasting and of a far superior quality to the usual laminated flooring. With Gabriel's Flooring you are in the hands of true hardwood flooring experts. Each hardwood has it's own unique appeal and all our woods can be used in different floor designs and we can even design features specifically for your home, giving your hardwood floor true distinction. Different finishes and edging can also help to make your wood floor truly unique. Within this website, you will find examples of our woods and finishes, ideas on how to use hardwood floors to improve the beauty, and value, of your home. Please come in and have a look around our online showroom and get in touch with us to discuss how Gabriel's Flooring can help make a real difference in your home. 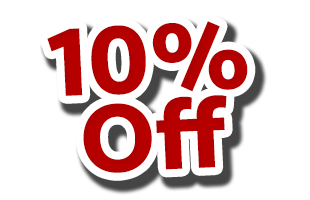 Order now and get 10% off for your next flooring job. This offer is valid for you, your family as well as your friends or relatives. Please call us at (773) 544-6826 so you can take advantage of this special offer. Don't forget to visit "Our Work" page. Here you’ll be able to see many photos of our previous jobs. 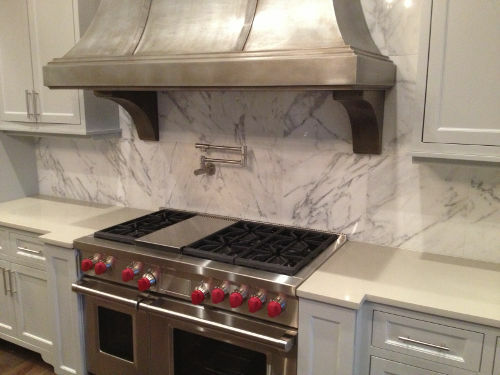 We specialize in quality renovations, including custom kitchens, for your home in Chicago area. We offer skillful design, custom cabinets and kitchen remodeling. From initial planning to final detailing, our work is tailored to your individual taste and budget. Please take your time and visit our online gallery. Now we can offer you professional tiles installation for your bathroom, kitchen or any other rooms. Also our specialists are ready to remodel your bathroom at your choice. Just take a look at our previous work to see for yourself what can we do for you. We use Shaw, America's #1 carpet. Gabriel, I just wanted to let you know that everyone I invited home, noticed the difference. Our floors now shine and look better than ever. When you want to know anything about floors ask Gabriel. He can even teach you how to take care of your floors and he does it with a lot of patience. Thank you Gabriel you did a really great job. Art decoration. That was the thing I wanted for my floors. When I saw what Gabriel did I was truly amazed. He will be the one and only flooring company I will ever recommend. Custom borders, medallions, painted floors. The only one that does it the way you want is Gabriel's Flooring. A real artist in flooring decorations. Gabriel you did a great job. Keep up the good work. Very good job. Thank you for being so patient. You have a great team. They were fast effective and very professional. I can define Gabriel's work in a few words: quality, fast, clean, and different from any other floor company I've worked with. Gabriel you are not only a guy that fixes floors. You are one of my good friends now. When I decided to find a company to repair the floor in my living room I thought it would be difficult to find someone who could understand me. Now the floor looks the way I always wanted it. No matter if you're thinking about hardwood, vinyl or laminate flooring choose Gabriel. He knows how to make you feel 100% satisfied. He made a great job. He made an even better job explaining me how to take care of it. Now my floors look always like new. Gabriel thank you very much for everything you did. Your team was clean, fast, and hard working. The price was excellent. Everything came out the way I wanted. I recommend Gabriel very strongly. He was prompt reliable and cheap. It was the best choice I could've ever made. A really great job. I'm completely satisfied. If you're ever thinking of remodeling don't hesitate to contact Gabriel's Flooring. They are the most professional company in Chicago. All the photos that you see on this website speak for themselves. High quality at a lower price. Quality defines your work. Thank you Gabriel. I will recommend you to any of my friends. Gabriel thank you for the wonderful job. 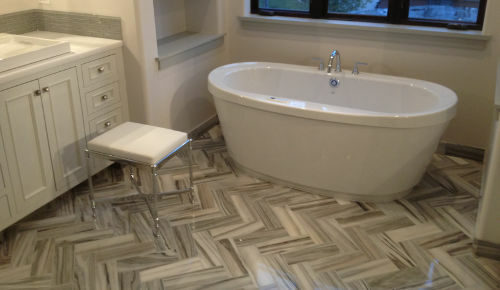 We'll never use any other flooring company." To whom it may concern: " Choose Gabriel's Flooring. They're reliable, prompt, clean, and you will save big money. For the first time in my life I met a flooring company that I could make business. Gabriel you are the best. No one else could have done what you did. Satisfaction is the only thing I can think of. If you want to save money while you redecorate your home then Gabriel's Flooring is the one you should chose. Very reliable person and a perfect team. Thank you very much for the wonderful job you did on my floors! Your refinishing job really brought out the beauty of my floors and my home. I will recommend Gabriel's Flooring to anyone who is in need of hardwood refinishing! The floor refinishing you did for me turned out better than I expected. The floors have been complimented on numerous times since you refinished them. You were very efficient, friendly, and provided me with beautiful floors at a beautiful price. North Suburbs: Lake Bluff, Glencoe, Waukegan, Gurnee, North Chicago, Long Grove, Vernon Hills, Grayslake, Highwood, Lake Forest, Lincolnshire, Buffalo Grove, Deerfield, Highland Park, Glenview, Northbrook, Wheeling, Winnetka, Northfield, Morton Grove, Lincolnwood, Evanston, Skokie, Wilmette. North-West Suburbs: Lake Zurich, Fox Lake, McHenry, Palatine, Crystal Lake, Cary, Elk Grove Village, Hoffman Estates, Barrington, Arlington Heights, Rolling Meadows, Schaumburg, Des Plaines, Mount Prospect, Prospect Heights, Park Ridge, Niles. West Suburbs: Naperville, Bloomingdale, Wood Dale, Addison, Bensenville, Lombard, West Chicago, Streamwood, Villa Park, Geneva, Batavia, Aurora, Harwood Heights, Elgin, St Charles, Elmwood Park, Schiller Park, Norridge, Bensenville, Franklin Park, River Grove, Berkeley, Northlake, Elmhurst, Maywood, Melrose Park, Bellwood, Oak Park, River Forest.